Sturdy two-section tubing. 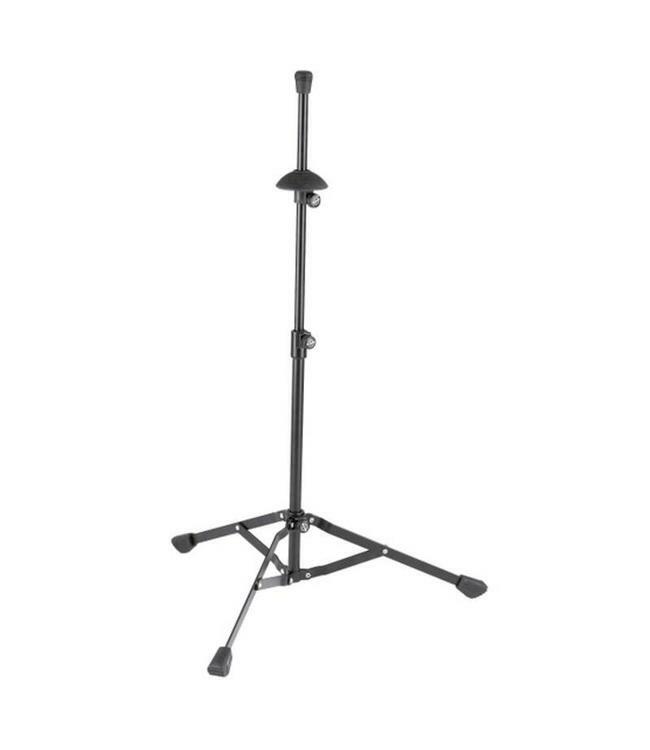 Wide, flat tripod base. Adjustable plastic peg. Easy height-adjustment with smooth clamp assembly. Compact, easy to fold.